Boasting a well-developed infrastructure, great terrain, and easy access from Santiago, Valle Nevado is one of the best ski resorts in Chile, and popular among the local and international ski scene. Spread across 2225 acres of Andes mountain terrain, Valle Nevado is known for its fun intermediate groomed runs, and endless off-piste lines. 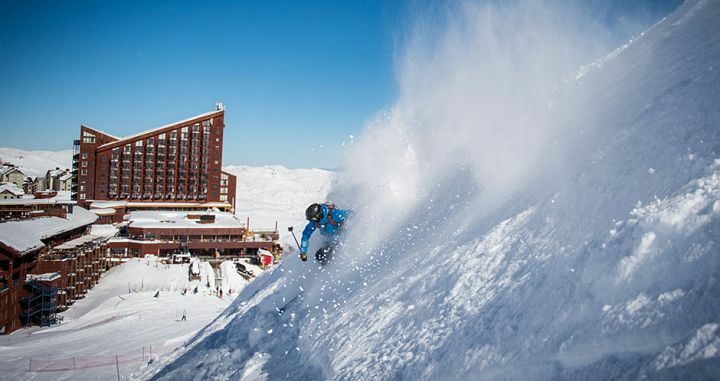 Valle Nevado receives about 80% sunny days, so bring sunscreen! 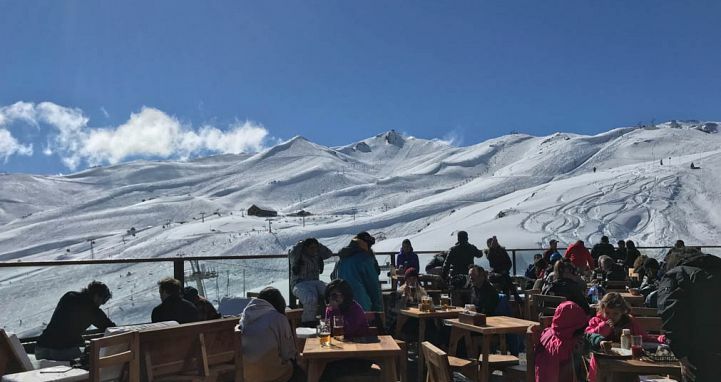 Whether you’re skiing for the first time or you’re an expert and whether you’re a family wanting a chillled vacation or a group of friends wanting to party, Valle Nevado Ski Resort in Chile is a fantastic experience catering to many. Meaning Snowy Valley in Spanish, Valle Nevado is situated in the spectacular Andes, who's jaggered, rocky peaks stretch for as far as the eye can see. It's difficult not to stop for photo opportunities on every run, particularly when it receives so many blue-sky days. 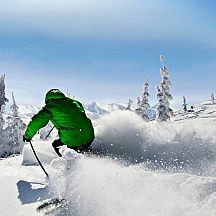 While the ski runs are suited mainly to intermediate skiers and below, Valle Nevado is a fun resort for all to explore. There’s just a few steep, double black-style runs however, due to its high-alpine proximity with no trees in sight, the off-piste opportunities are endless. Depending on how you look at it Valle Nevado’s collection of buildings perching on the edge of a cliff is either hideously ugly or incredibly wonderful. But regardless of your opinion, Valle Nevado’s layout and style of hotels make it perfect for those seeking a super easy ski vacation. Beginners are well catered for at Valle Nevado, with an array of green runs and ‘baby’ slopes conveniently located adjacent to the hotels. There are also slopes dedicated to ski school and first timers. 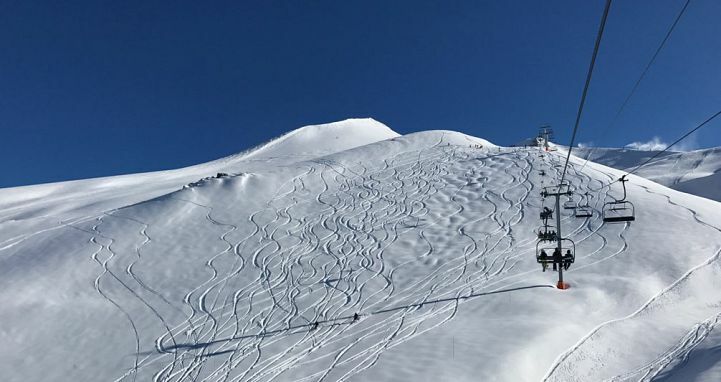 Several black runs with a decent pitch are accessible from the top lifts, although advanced skiers will have most fun ripping through the off-piste snow in the upper reaches of the resort. Natural half-pipes, gullies, and bowls are a joy, particularly becoming a powder playground when Mother Nature provides. Due to its sometimes flat terrain, snowboarders are best to be prepared for a short skate at times. 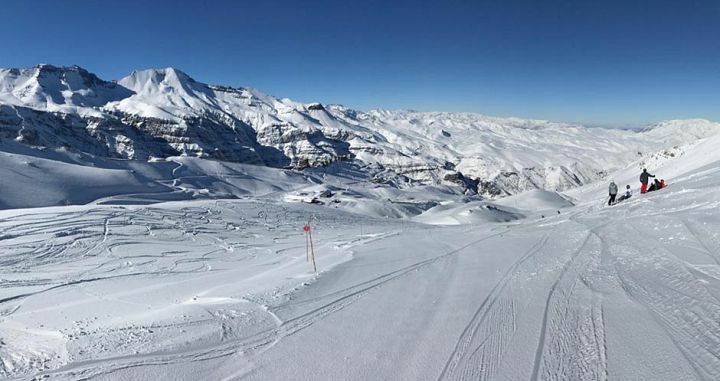 The backcountry terrain surrounding Valle Nevado is where the best expert terrain can be found, but as always, a local guide is highly recommended. Heli-skiing is a must for advanced and expert skiers with access to some incredible Andes terrain just minutes from the hotel heli-pad. 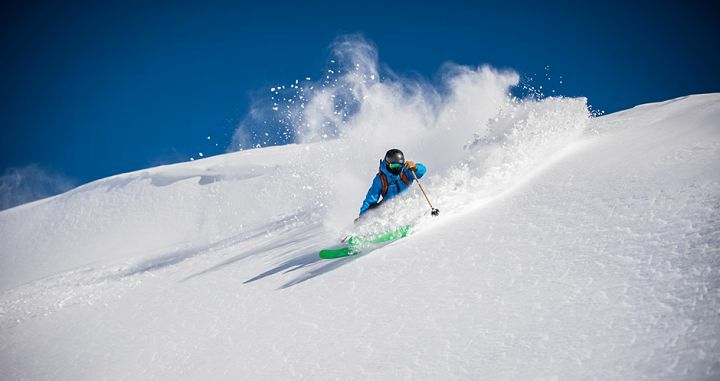 Scout can include guides and heli-skiing as part of a Valle Nevado ski package. While there are a few high speed quads and a gondola Valle Nevado has its fair share of surface lifts – including some Pomas that seem to hurl you up the hill (and sometimes in the air). Some wouldn’t be suitable for small children or beginners. Lift lines can be lengthy on weekends and peak holidays. 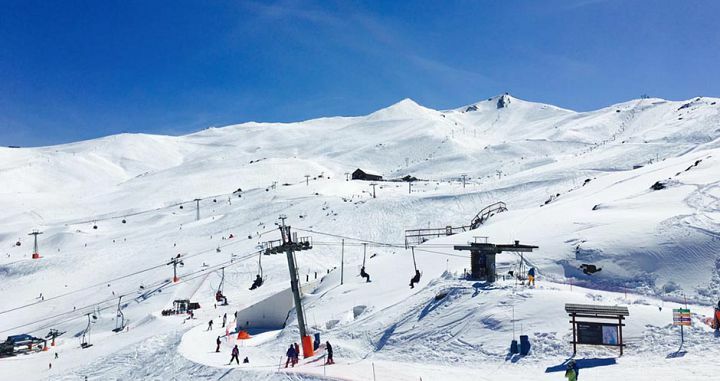 Interconnected with El Colorado and La Parva resorts, there are plenty of opportunities to explore further afield, with over 4000 acres in total between all three resorts. The only downfall is a lack of multi-resort ticket options, so a day of adventure can be a little pricey. However a week-long Valle Nevado ski package purchased through Scout includes a day at each of those resorts. 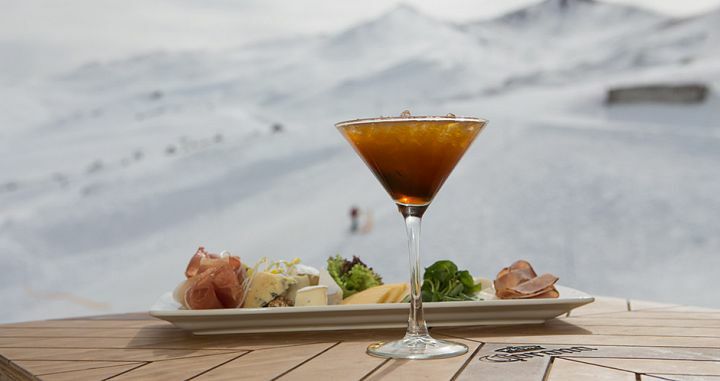 Snowfall in Valle Nevado varies each season, from light dry champagne goodness, to wet and heavy sticky snow. 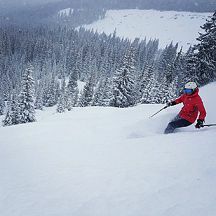 Saying that, the resort receives more snowfall than its neighbouring El Colorado, and south facing slopes allow the fresh powder to stick around a little longer. Skiers can expect bluebird days aplenty (remember the sunscreen! ), however, when the large storms roll in, you can expect a few lifts to be closed and limited visibility on the slopes. 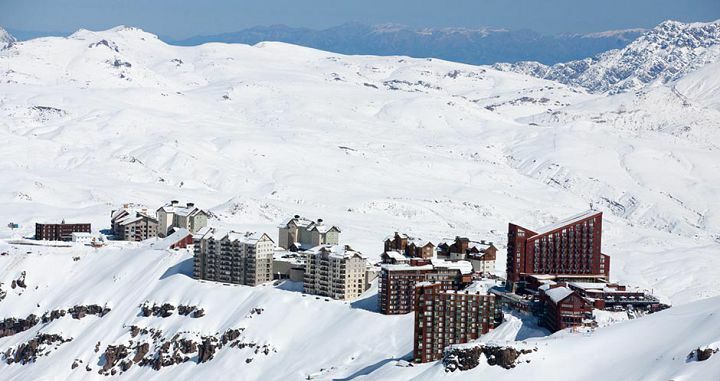 Valle Nevado is an excellent option for families thanks to the super convenient access to the snow from most hotels. In addition packages include breakfast and dinner so you never have to worry about where you’re going to eat. 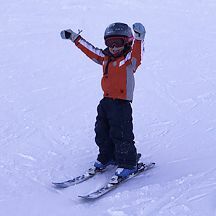 Valle Nevado offers ski lessons in English for kids aged from 4. There is a nursery for children aged 3-7. Scout recommends the Puerta Del Sol Hotel for families as it’s the best located to the slopes and has direct access to the pool. 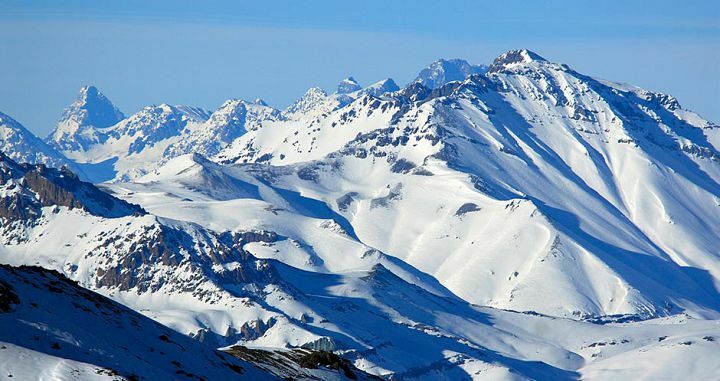 Valle Nevado offers the best ski-in/ski-out accommodation options for those visiting the Tres Valles area. There is no town per-se, but rather a small village consisting of three major hotels, a few condos, and a handful of restaurants. 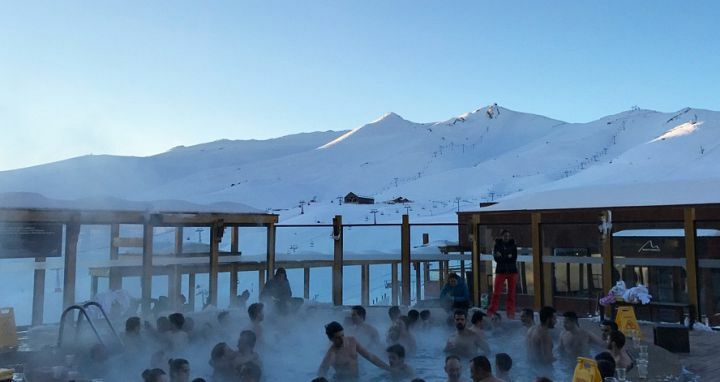 Compared to other ski resorts, Valle Nevado can be rather expensive, however, almost all ski packages include lift tickets, breakfast and dinner daily, plus access to high quality facilities. Generally, hotel accommodation is booked in full ski weeks (7 nights – Friday to Friday), although 3 and 4 night options may be available. Hotel Valle Nevado, Puerta Del Sol and Tres Puntas are Scout’s top choices for accommodation at the resort. Down the road in Farrellones and almost ski-in from El Colorado is the Powder Lodge. This is a great option for those that don’t like the big hotel experience and are looking to hang out with fellow hard-core skiers in a relaxed ski lodge. The sunsets and views down to Santiago are spectacular, the service friendly and the breakfast and dinners delicious. 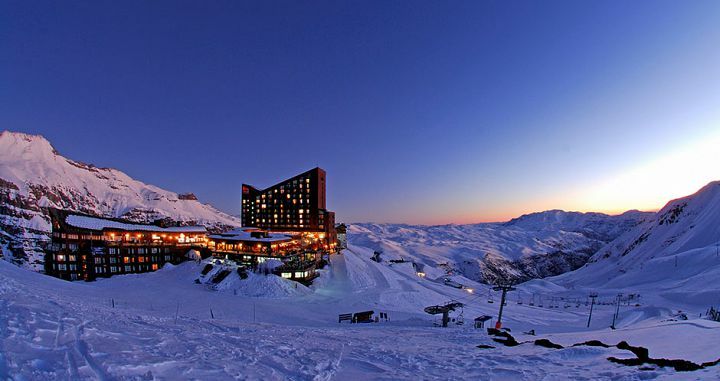 Valle Nevado is located about an hour’s drive from downtown Santiago and the airport (more on a Friday evening). The drive isn’t exactly cruisy, with half of it venturing on Santiago’s busy expressways and the second half up a narrow single lane road (with driving on the right hand side) that features 50 switchbacks – sometimes so tight that downhill traffic is meant to give way (and doesn’t always). We therefore highly, highly recommend including a shuttle service in your package via Scout. Be aware that on Saturdays and Sundays, the final stretch from Farrellones to Valle Nevado operates one way only, with uphill traffic only from 8am to 3pm and downhill traffic only from 4pm to 8pm. The road is two way at all other times. Be aware of this if you are planning on arriving or departing on those days – a flight departing Santiago prior to at least 6pm on a Saturday or Sunday would require leaving before 8am or the night before. Private and shared bus transfers are available from various locations or for the ultimate in luxury, take a private helicopter for the 15 minute journey from either the airport or a downtown rooftop heli-pad direct to the resort (luggage will need to be sent via ground transportation).